It happens. I’ve had a couple of not so good sleep nights. I suffer for it. I really do. I notice it all the more now that I’m a recovered sleeping person. But like all recovered/recovering people, I fall off the wagon occasionally. The good thing is that I haven’t resorted to all my previous coping methods or behaviour – much. I haven’t fallen back into the teapot, staying with my 2 cuppa day limit. I was tempted. You know that feeling, groping towards comfort drinks and food. 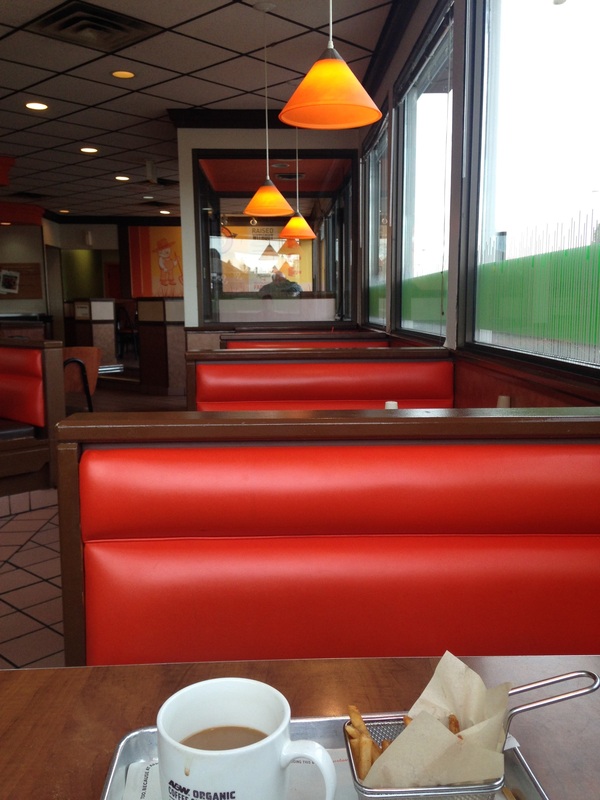 I was tempted to head out to A&W for that promise of an awesome breakfast yesterday. 2 eggs, 3 strips of bacon, 2 slices of toast, a hash brown and a small coffee for only $4.99! As luck would have it, that coupon had expired the previous day. To do myself proud I had already nixed the idea before I realized that. I have worked hard all winter learning how to break the habit of myself. Apparently Dr. Joe Dispenza knows his stuff. His method is working for me. For sure I am struggling a bit alot. It shows that I’m not caving into my previous habitual self. No pain, no gain as they say. I’m accepting my flaws. I’m embracing my humanity. I must admit that I have a bit of the blues, not the curled-up-in-a-ball, down and out kind of depression. I’ve never had that kind. I’ve always struggled up. I’m an irksome, annoying kind of Chinese chick. I keep getting up and wanting to improve on things. I think I’m good enough now. I’m working on things. Finally most of university and nursing textbooks are recycled. I’ve kept the one for my class on the Philosophy of Religion. The class and the professor were privotal in my young life. He could see that I was troubled and floundering. He cancelled a scheduled class to spend the hour with me. “The class today is cancelled. Miss Leung, may I see you in my office?” He announced. I can still hear the shuffle of feet and gathering of books as my classmates rose from their desk. They cast glances at me on their way out. I wonder what she did, their expressions queried. I followed my professor to his office. The memory is more precious to me now than at the time. It is only in the present I recognized how valuable that hour was. I’m not feeling at all insignificant but valued. Even though my mentor, Caroline Myss says nobody is special, I’m feeling special. It’s a cool day. It’s almost 2 pm and only 11 degrees Celsius. I’m not feeling overly ambitious but I’m still piddling steadily along. Like the FlyLady says, I’m not behind. I’m starting where I am. Though I didn’t feel like it, I’ve put all my bedding plants out again on the deck. They’ll toughen up and get sturdier for their permanent transplant in the beds later. I’ve cleared off another small area in the basement, organized my sewing stuff, collapsed and folded up the table. I’m finishing my thoughts here and taking the last sips of my Rooibos tea. Yup, going herbal and organic. Now to tend to the lunch dishes. This entry was posted in Uncategorized and tagged A+W specials, bacon, breaking habits, class, comfort food, depression, eggs, flaws, hashbrowns, Im not behind, life, nobody is special, pivotal moment, pivotal person, professor, sleeplessness, starting where I am, toast, writing. Bookmark the permalink. I’m glad that your time in your professor’s office made you feel valued. Thank you for that beautiful journal entry. I really like your expressive writing style. Thank you very much! I enjoyed my school years and learning. I had some very great and supportive professors.